The government has appointed former chairman of Central Board of Secondary Education (CBSE) Vineet Joshi as the first Director-General (DG) of the National Testing Agency (NTA). 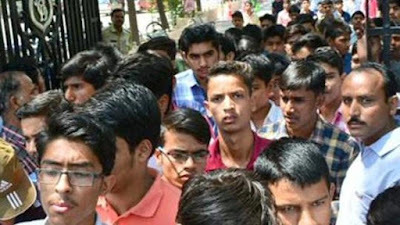 This has been initiated by the government to conduct entrance examinations for higher educational institutions organised by the CBSE, AICTE and other bodies. He will have tenure of five years. He is a 1992-batch IAS officer of the Manipur cadre. Prior to this appointment, he was resident commissioner of Manipur government. During his tenure as the Chairman of CBSE, he had introduced big changes such as Continuous Comprehensive Evaluation (CCE) and making Class X board examination optional. Who has been appointed as the 1st DG of the National Testing Agency? Who is the current Chairman of CBSE? When was NTA approved by the Union Cabinet? NTA will be chaired by an educationist to be appointed by which Ministry? NTA is registered as a society under which Act? The Union Cabinet has approved formulation of a new Integrated Scheme for School Education by subsuming which of the schemes?